Have you ever had a feeling like you were mourning the death of something that was still alive? 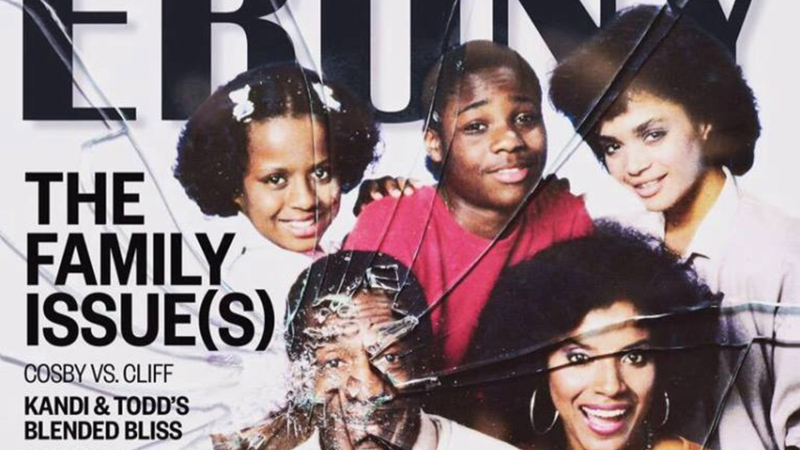 On Feb. 27, after months of back-and-forth, canceled court dates and a stringing along that felt as if we were never going to come to an agreement, 43 writers settled their lawsuit with the once powerful Ebony magazine. The win came as a victory not only for black creatives but also for freelancers, who are often taken for granted in the writing industry. However, as great as it will be to finally be paid for work I’ve done dating to 2016—and to 2015 for several others—the victory is bittersweet and a devastating sign of the times for what has become of black media. I first wrote for the publishing giant back in 2014. I remember it being one of the happiest days of my life, writing for a publication my entire family grew up reading. It was my first byline in a major publication, and honestly the start of my career in journalism. I recall writing the piece in September and receiving my first check in November—about a 60-day lag time, which was cool because I was new to the industry and had been warned that freelance checks are often delayed. The second time I wrote for Ebony wouldn’t be until December 2015. The check for that work took about 90-or-so days for me to receive. At this point, it was a little more concerning. But, like many black creatives, I had heard stories about Ebony being a little late on payment, so I wasn’t worried. By the time I wrote for them again in the summer of 2016, payment became empty promises, unreturned emails and a foreboding feeling that it was the beginning of the end—of what, exactly, I wasn’t sure. There would come a change in ownership, followed by a change in accounting, followed by a change in most of the staff. I would write almost 15 more articles for Ebony without pay, as freelancers were never told to stop writing; if I’m being fully transparent, it was also because I didn’t want to stop writing. Ebony was the pinnacle of black journalism for me and for so many others. Ebony provided a space for me when I couldn’t get a clip elsewhere. Ebony banked on my loyalty to the publication, and that gnawing fear of tearing down one of our own. All the while, Ebony was the one tearing down our community. This industry has never been too kind to black creatives. We have often been unpaid and under-resourced by white-dominated media. Publications like Ebony, Jet and Essence were birthed out of the lack of black narratives in such spaces, which allowed them to become staples of the black community, ensuring that stories that would otherwise never be told were shared nationwide throughout our communities. Writers remained silent for years, hoping that we could work this out behind the scenes as we understood the damage that could be done if we spoke out against Ebony magazine. There was partly the fear of losing a place to write for, intertwined with the conditioning about how damaging it can be when black folks talk about their own. The decision weighed heavily on many of us, until the burden of our bills outweighed that of protecting the media giant. Although many of us are celebrating finally being paid for our work, it doesn’t come without some guilt over the potential taking down of one of the few places focused on our stories—black stories. However, this pivotal moment has been a valuable lesson in how we can’t be silent about the mistreatment of black creatives, even when it is one of our own doing the mistreatment. It is dangerous to be driven by visibility, representation and symbolism if reciprocal respect is absent. The decision not to speak out was similar to the refusal by many in the community to speak out about Bill Cosby, fearful that they would become complicit in destroying the image of a beloved, powerful black man. How many to this day will not criticize former President Barack Obama? This toxic loyalty is unhealthy—and much too similar to how white people herald their forefathers who committed major atrocities that are left out of the history books, simply to protect whiteness. We are better and stronger than that. When Jay-Z spits, “Nobody wins when the family feuds,” it is a microcosm of the entrenched conditioning of the black community to be unwilling to discuss issues with our own in a nuanced way. We are fearful of the damage that may be caused when people see us stand up and speak out against one another publicly—and those fears are not without merit. Mo’Nique, a comedian and Academy Award-winning actress, was dismissed and ridiculed for speaking out for pay equity because she isn’t what many consider to be a respectable black woman. Misogynoir clearly played a role in how quickly some in our community told Mo’Nique to be quiet and be grateful for whatever she was offered. This was a deeply held fear for many of us who freelanced for Ebony, even more so for black women who were some of the first to speak up. We have seen over and over again black women be 100 percent right; we have also seen the lengths to which folks will go to disprove them—and reduce their ability to ever recover in this industry. The decision for us as writers to come together against Ebony was a necessary one. It was black creatives taking a stand against an industry that has made us disposable and devalued our worth beyond measure. It also served as a message to the entire media industry, both white and black, that there are serious repercussions for being unwilling to pay for labor and irreversible public relations damage that can occur when freelancers have had enough. Through it all, I know we made the correct decision. Suffering in silence is something that has become far too common in the black community. Freelancing ain’t free, and one way or another, you will pay us what you owe us. George M. Johnson is a Journalist and Activist located in the NYC area. He writes for Entertainment Tonight, TheGrio, TeenVogue, NBC News, HIVEqual and several other major publications.